I just wanted to send a quick email back to you to say a huge thank you to Captain Brady for our amazing trip with him last week. My 7 y/o son and I went night fishing with him last week, we are now back in Australia and my son doesn’t stop talking about it. Everyone back home in Aus knows all about! We got some wonderful photo’s and also a great Video which we posted on facebook – and everyone back here is blown away. We did a week skiing in Steamboat, then a week at Disneyland/Universal Studios and when we asked him what his favourite part of the trip was – ICE FISHING! “Brady’s knowledge of Stagecoach is impressive and inspiring. Every location he took us to we saw fish. Not only does he know the fishery, but he has great attention to detail. More importantly, he takes the time to get to know everyone who is fishing with him and what their priorities are. His personal touch and incredible enthusiasm for all things fishing makes for a great day on the water regardless of the conditions." "My name is Tim Crockett. I own All Access Garage Door in Steamboat Springs. My son and I fish with Brady as much as possible. He is the best fisherman we know. He is patient yet determined to catch fish. Whether trolling, casting for Pike and Walleye, or ice fishing he knows how to catch them. 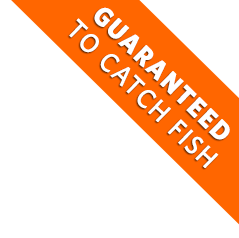 I would recommend him for any fishing adventure." "Me and girlfriend had an excellent time with Brady! The info and hospitality was bar none! Can't wait to get back up there and fish again!! Great for beginners and for the seasonal anglers alike! Whether you're just looking for a great relaxing day on the water or lookin to hammer a bunch of good looking fish he'll cater to whatever you're trying to do out on the water. Highly recommended to anyone out in the steamboat area!" "Our family had the best time fishing with Brady on the night fishing trip. We caught a bunch of rainbow trout, enjoyed the scenery (at sunset) and had a lot of laughs. Brady is very professional and super knowledgeable but his friendly and fun personality really made it special. Oh and the boat is gorgeous and so comfortable! Book a trip! You won't be sorry." "Talk about passionate fishermen! I have known Brady since we were in diapers over 30 years ago. Not only a die hard season angler, he has the patience, knowlege and sense of humor you want in your guide. Do yourself a favor and get your catching on with these guys."